Can I Allow Visitors to Create a Markers? 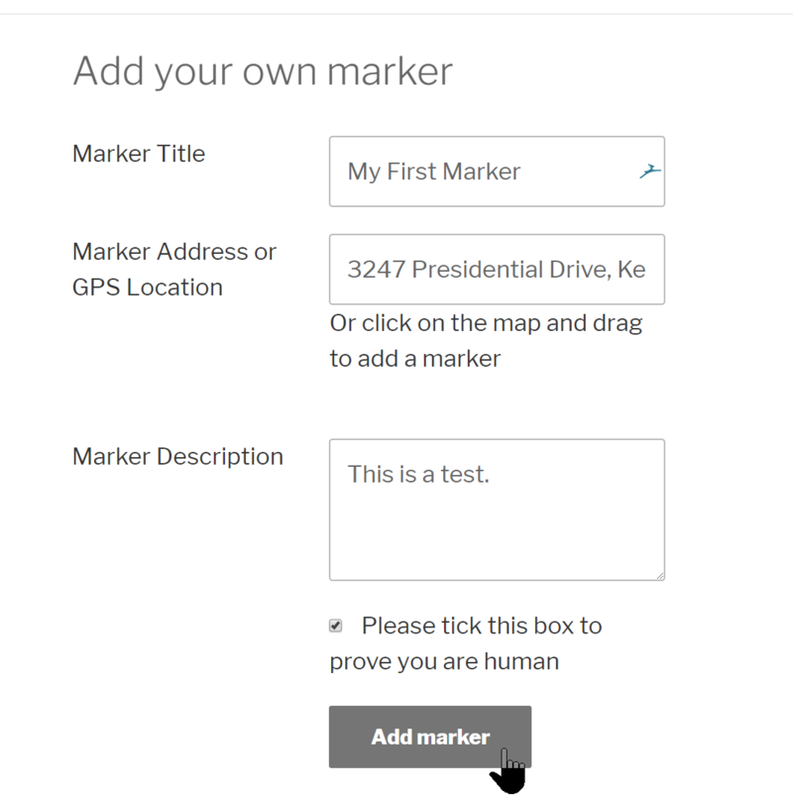 You can allow visitors to create markers on your maps if you have purchased both the Visitor Generated Markers and Pro Add-ons. Install and activate the Pro Add-on and then the Visitor Generated Markers Add-on. See Installing the Plugin if you need detailed instructions for installation. To enable Visitor Generated Markers, select Yes from this dropdown. Select Everyone from this dropdown if you want public visitors to add markers or Registered users if you only want your registered WordPress Users to have this capability. Allow Visitors to Select a Marker Category? To enable Visitors to select a Marker Category, select Yes from this dropdown. Allow Visitors to Upload Images? To enable Visitors to upload images for their Markers, select Yes from this dropdown. The above screenshot shows the interface a Visitor uses to add a Marker. This covers allowing Visitors to create Map Markers. If you need further assistance, feel free to post on our Support Forums or visit our Support Desk.